The 2017 campaign, which raised awareness and support for the essential scale-up of “human resources for anaesthesia”, was a huge success with thousands of people getting involved in more than 70 countries! 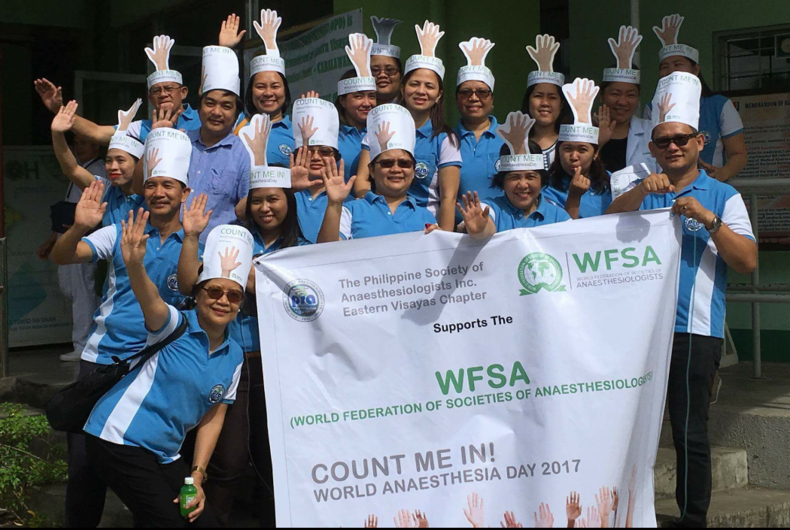 Between incredible social media participation, discussions in national and international media, and the answering of our World Anaesthesia Day Anaesthesia Capacity Survey, anaesthesia providers made their voices heard and helped the WFSA gather data that will be essential for our future advocacy work. The WFSA’s recently launched Global Anaesthesia Workforce Map highlights the anaesthesia workforce shortage crisis. 70 countries had a very low total anaesthesia provider density of less than 5 per 100,000 population. Using current population data, more than 136,000 physician anaesthesia providers are needed today to achieve a minimum density of 5 per 100,000 population in all countries, a figure still considered an interim target. Without adequate numbers of staff it will be impossible to scale-up anaesthesia provision worldwide, and impossible to ensure access to safe anaesthesia for all patients. The Lancet Commission on Global Surgery (2015) found that as many as 5 billion of the world's 7 billion people do not have access to safe and affordable anaesthesia when needed. 16.9 million people die from conditions that could be treated by surgery every year, but many of these lives could be saved. This figure is four times higher than the number of people dying annually from malaria, HIV/AIDS and tuberculosis combined, and is only 600,000 fewer annual deaths than the number one global killer, cardiovascular diseases. Yet these facts are not well known. A lack of human resource, including numbers of appropriately trained anaesthesia providers, along with a lack of vital anaesthesia equipment, contribute to this high number. 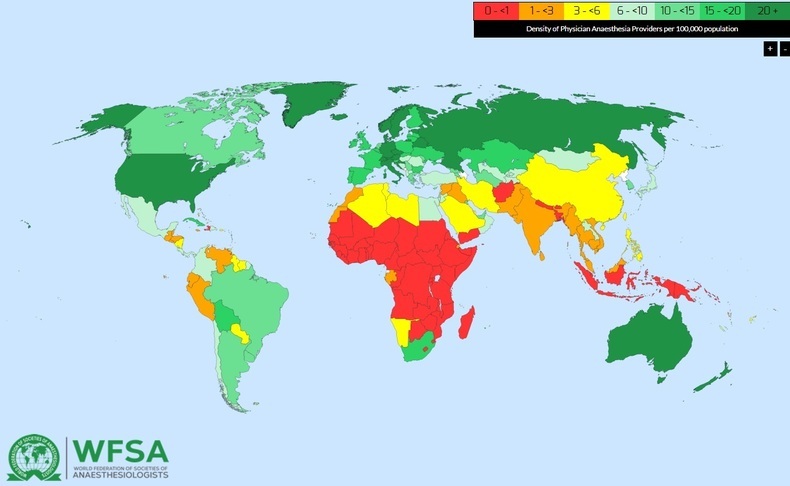 The WFSA’s advocacy programme works to highlight the lack of resources and the need to take action, working together with our SAFE-T Network and Consortium to gather data to “map the gap” in access to safe anaesthesia. The WFSA’s Global Anaesthesia Workforce Map helps us advocate for the scale-up of anaesthesia workforce on a national level. However it is important to gather data and create similar maps outlining shortages of facilities, drugs, and equipment to give a more detailed picture of global anaesthesia capacity and what needs to be improved. It is also essential to understand workforce distribution at a regional level to be able to advocate for the distribution of resources within countries. The Kenya Society of Anaesthesia (KSA) have successfully collected data on the number of anaesthesia providers at the regional county level. 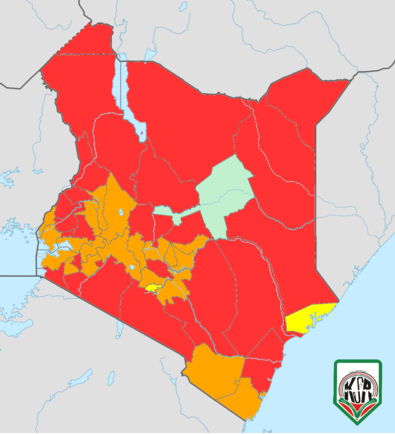 Vast differences exist within the country, with 6.6 anaesthesia providers per 100,000 population in Isiolo county, yet only 0.1 per 100,000 population in Mandera county in the North East of the country. exacerbated the issue of maternal and infant mortality, one of the top four causes of death in rural hospitals, through improperly administered anaesthesia, or a complete lack of anaesthesia," explained Phoebe Khagame, Project Manager at the Kenya Society of Anaesthesia. Thanks to the success of our #CountMeIn Campaign on World Anaesthesia Day, the WFSA has already gained more information about anaesthesia capacity at the facility level from more than 150 participants around the world. However, we would still like to learn more. If you are able to answer detailed questions about your facility and have approximately 30 minutes to spare, please complete our World Anaesthesia Day Anaesthesia Capacity Survey. We also invite medical practitioners, public health staff and the general public to support global anaesthesia by sharing the survey with friends or colleagues who can answer questions about anaesthesia workforce, equipment and medicines in specific medical facilities. 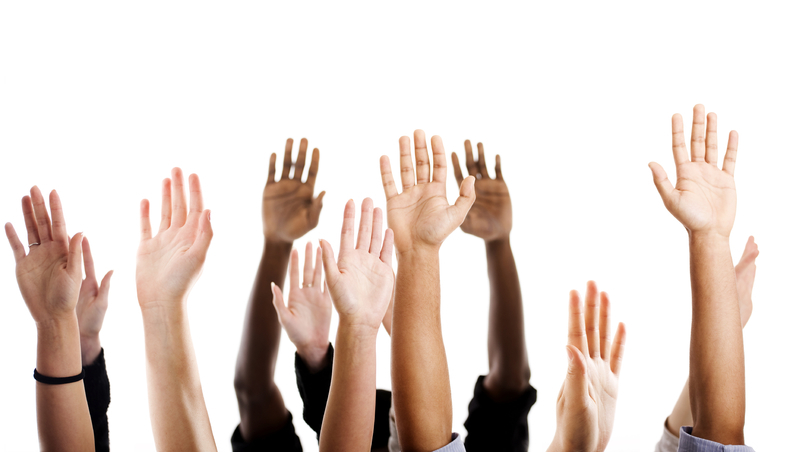 Learn more about the WFSA's advocacy work and how you can get involved by clicking here.